An interesting dispute has emerged between German car maker Volkswagen and Indian auto manufacturer Bajaj Auto’s. The reason of dispute between both these auto leaders in their specific countries is concerned with a statement made by Mr. Rajiv Bajaj, MD, Bajaj Auto endorsing Bajaj’s quadricycle Qute to be safer than Volkswagen Polo. This statement from Mr. Bajaj has compelled German auto giant Volkswagen to Confront the statement and oppose the statement made by Mr. Bajaj. It would be interested to know in a recently concluded NCAP test held on April 6, 2016 Qute from Bajaj succeeded in getting 1 star rating whereas Polo hatchback from Volkswagen scored 0 in the test. 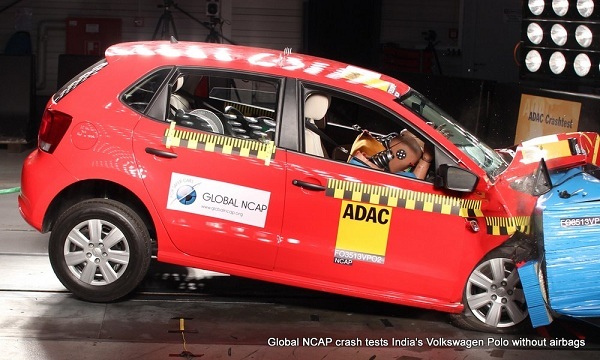 According to sources of Volkswagen yes Polo hatchback scored 0 rating in NCAP safety test, but the variant which underwent for safety test was a variant without airbags and after that the said variant was immediately removed from Polo line-up after the test. After removal of that variant Polo has emerged as one of the safest hatchback available in country with 4 star safety rating. “Do we infer basis the results that we have seen that the Qute has achieved a safety rating on par with several European quadricycles & superior to many other European quadricycles? Do we infer basis the results that we have seen that while the Qute has achieved a 1-star rating in its category of quadricycles, several popular small cars have achieved a 0-star rating in their category? Did we therefore mean to suggest that the Qute appears to have done RELATIVELY better in its tests than those cars did in theirs? Did we mean to suggest any more than this by implying that quadricycles & cars are one category, undergo the same tests, & hence that these results are DIRECTLY comparable? 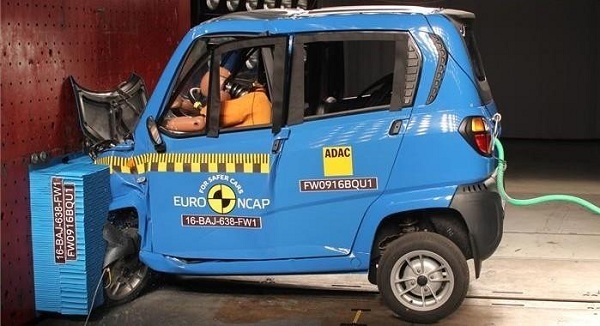 We would equally respectfully suggest that in the future global ncap reflect a little longer & exhibit greater maturity in drawing conclusions before venturing to cast unwarranted aspersion upon an organization that has a track record for integrity & performance as does Bajaj Auto.